EVANSTON - Magdalena R. Osburn, a Northwestern University geobiologist who studies ancient and modern microbes, has been awarded a 2017 Packard Fellowship for Science and Engineering from the David and Lucile Packard Foundation. The prestigious fellowship includes an unrestricted research grant of $875,000 over five years to pursue innovative and experimental research. The foundation named Osburn and 17 others as the nation’s most innovative, early-career scientists and engineers. These young professors are tackling some of the critical scientific questions of our time and promise to have a big impact not just on their fields but also on the students working with them. Using a class of molecules called lipids, Osburn studies how microbes interact with their environments and what chemical signatures they produce. Osburn’s work has led her to a number of extreme environments, including hot springs, mines, caves and lakes in Greenland. Learning more about how microbes inhabit such harsh environments will help scientists in the search for extraterrestrial life, such as on the subsurface of Mars. With her Packard Foundation funding, Osburn will study “microbial dark matter” -- microbes that have evaded cultivation in the lab, and thus scientific study, and are known only by their DNA sequences. Unknown microbes have the potential for producing new compounds with implications for medicine. Osburn specifically will study microbes that live deep underground and make their living off of the surrounding geology. With sufficient environmental characterization and replication of certain microbial environments in the lab, Osburn hopes to be able to grow some of these mysterious organisms. Osburn is the 14th faculty member selected at Northwestern to receive a Packard Fellowship since the program was established in 1988. 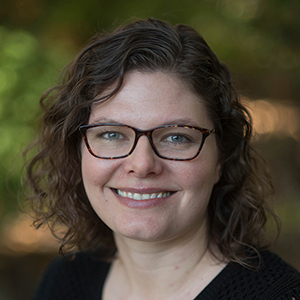 “The entire department congratulates Maggie, who joins a distinguished group of early career awardees in Earth and planetary sciences, including previous Packard Fellows Steven Jacobsen and Andrew Jacobson,” said Bradley Sageman, department chair and professor of Earth and planetary sciences. “As a geobiologist, Maggie brings exciting new expertise to Northwestern. Her research on microbial dark matter will extend our knowledge of the interface between inorganic and organic systems, the mechanisms that facilitate natural elemental cycles, such as carbon, oxygen and iron, and the origin and early evolution of life,” he said. The Packard Fellowships for Science and Engineering are among the nation’s largest nongovernmental fellowships, designed to allow maximum flexibility in how the funding is used. David Packard, co-founder of the Hewlett-Packard Company, was the inspiration behind the program. Packard recognized the success of his company was derived in large measure from the research and development in university laboratories.